Maine Township District 207 requires that each student’s residency is verified every year they attend one of our schools. We have contracted with an outside vendor to assist in verifying the residency of all returning students. This process provides the district a more effective and accurate means of checking the actual residency of each student. As a result of this process, some families will be verified without being asked to provide further documentation, while some families will still need to complete our residency paperwork. Mailings for your residency requirements were sent out in early June to students returning to Maine East High School and students who just completed 8th grade in one of our sender districts. In order to attend Maine Township High School District 207 schools, students must live within the district and school boundaries. The intent in verifying each student’s residency is to ensure that we are in compliance with state law and to fulfill our obligation to District 207 taxpayers that we allocate our resources to educate students who are legitimately entitled to attend our school. While additional information about providing proof of residency is included here on the Maine 207 District website, please see below specific instructions for various student groups. If your address was verified, download and complete the top portion of the Affirmation of Residency Form (available above), complete steps 1 & 2, and sign at the bottom. Please know that if you are divorced, you will need to attach a copy of your divorce decree showing who has physical custody of the child as noted in step 2. If your address was not verified, download and complete the entire Affirmation of Residency Form and provide copies of required documents. If your address was verified, you do not need to provide any further documentation. Should your residency change during the course of the 2018-19 school year, you are obligated to inform the school of the change of address and bring in supporting documents. Download the Affirmation of Residency Form. Complete this entire form and provide copies of required documents. If your living arrangement involves living with another family, please complete and return Custodial Care Form Part 1 and Custodial Care Form Part 2. 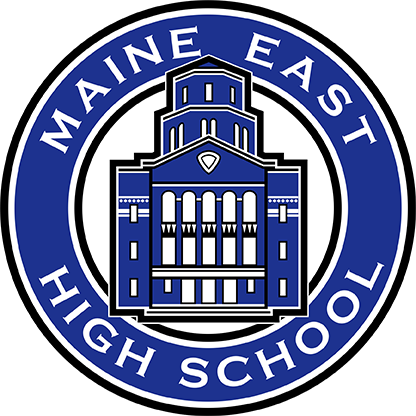 If the school obtains information indicating that you do not live in the Maine East attendance area, a thorough investigation of your residency will be conducted which may require additional proof of residence. Please note that owning property in Maine Township High School District 207 in which you DO NOT reside DOES NOT make you a legal resident and therefore DOES NOT qualify your child to attend school at Maine East. The Illinois School Code mandates that you and your child actually reside, on a permanent basis, in the attendance area in order for your child to attend school. Parents who falsify their residence information for the purpose of obtaining tuition-free attendance for their children at this high school commit a criminal offense and may be subject to legal action. Also, Maine Township High School District 207 may take legal action for recovery of tuition.